Betty Lavonne Grissom, who successfully sued a NASA contractor after her husband, Virgil “Gus” Grissom, and two other astronauts died in the 1967 Apollo launch pad fire, has died. She was 91. Mark Grissom, 63, said Wednesday that his mother had been in good health before her unexpected death Sunday at her Houston home. He said funeral plans hadn’t been finalized, but his mother will be buried at Arlington National Cemetery, where his father is interred. Betty and Gus Grissom met in high school in the southern Indiana city of Mitchell and married in 1945. He later graduated from Purdue University and went on to become one of the seven original Mercury astronauts. 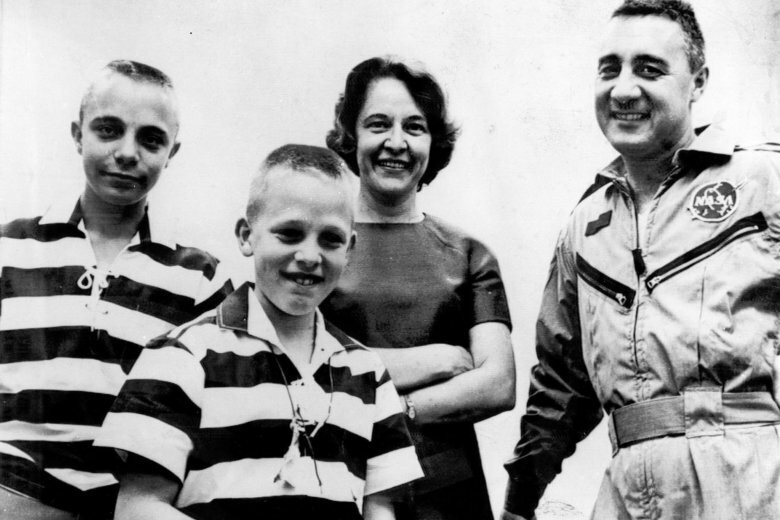 In July 1961, Gus Grissom became the second American in space. But following his successful 15-minute suborbital flight, Grissom nearly drowned when his capsule landed in the Atlantic Ocean and sank after the hatch blew off prematurely. Gus Grissom was 40 when he died on Jan. 27, 1967, along with fellow astronauts Roger Chaffee and Ed White, when an electrical fire broke out inside the Apollo 1 command module during testing at the Kennedy Space Center in Florida. Betty Grissom, left widowed with two sons, filed a wrongful death lawsuit against the Apollo program’s prime contractor, North American Rockwell. She won a $350,000 settlement in 1972 that would be worth nearly $3 million today if adjusted for inflation, said Ronald D. Krist, the Houston attorney who handled that case. Despite criticism from some within NASA for suing, Krist said Betty Grissom was determined to proceed with her quest for compensation for her husband’s death. Mark Grissom, who lives in Mustang, Oklahoma, said his mother never remarried. Her other survivors include his older brother Scott, two grandchildren, and her late husband’s two brothers, Lowell and Norman Grissom. “She was strong-willed and she was outspoken. She’ll be missed by her friends and family,” he said.